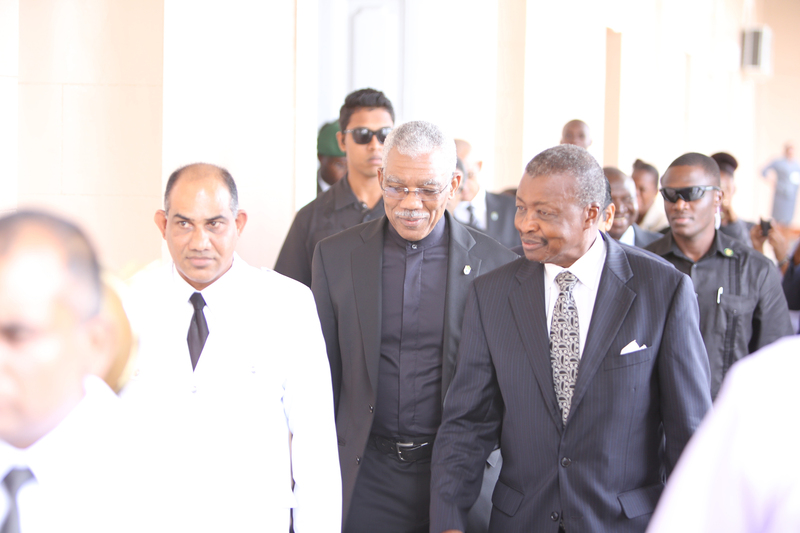 President David Granger (centre) being escorted yesterday into Parliament Chambers by the Speaker, Dr Barton Scotland. 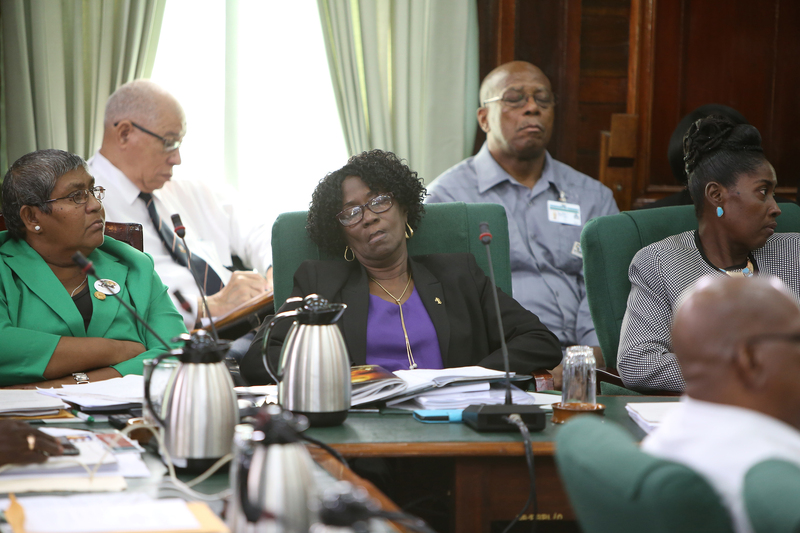 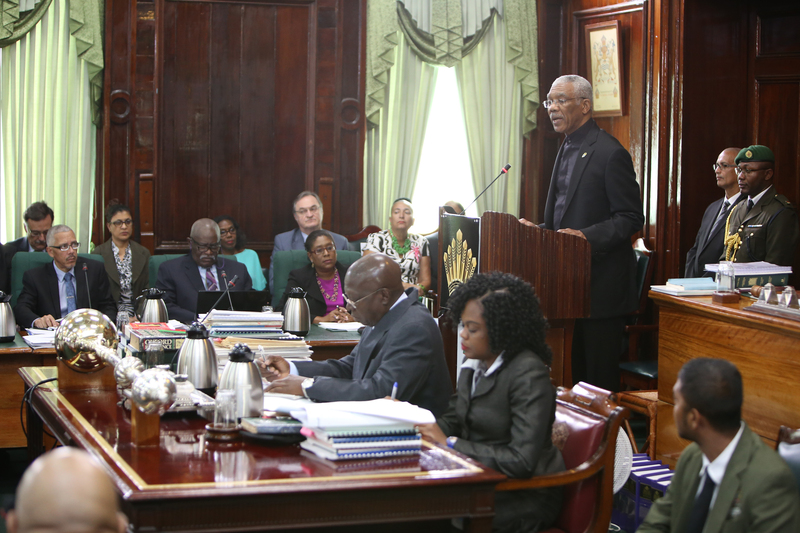 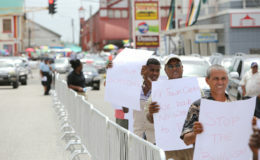 President David Granger delivering his address to Parliament yesterday. 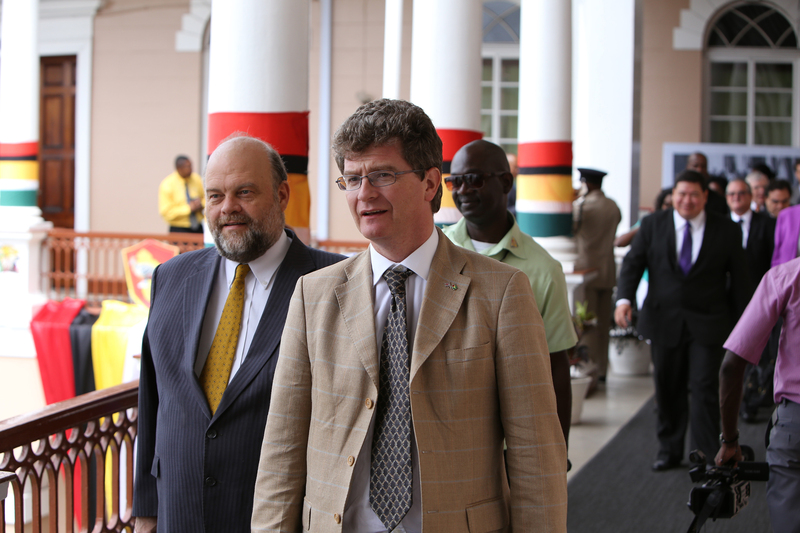 From left: US Ambassador Perry Holloway and UK High Commissioner Greg Quinn leaving Parliament after the President’s presentation yesterday. 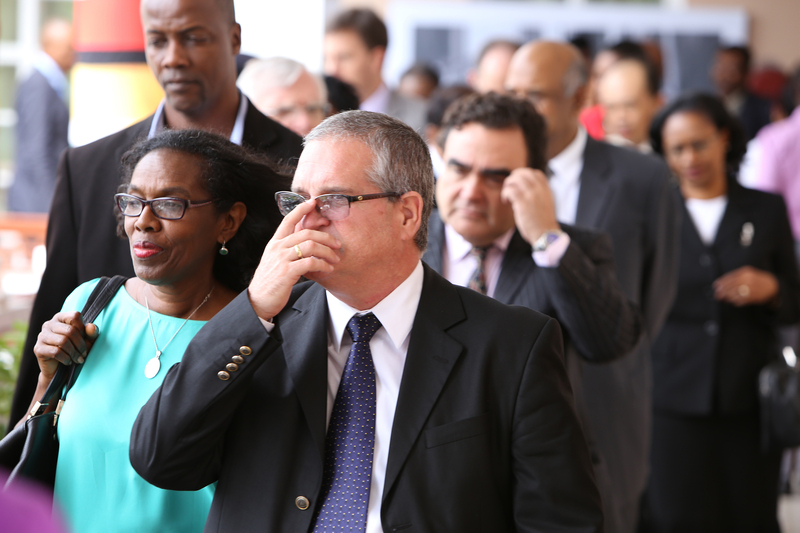 From left: Venezuelan Ambassador to Guyana Reina Margarita Arratia Diaz and Cuban Ambassador Julio Cesar Gonzalez Marchante leaving Parliament after the President’s presentation yesterday. 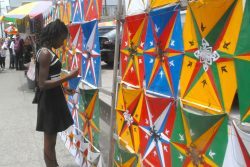 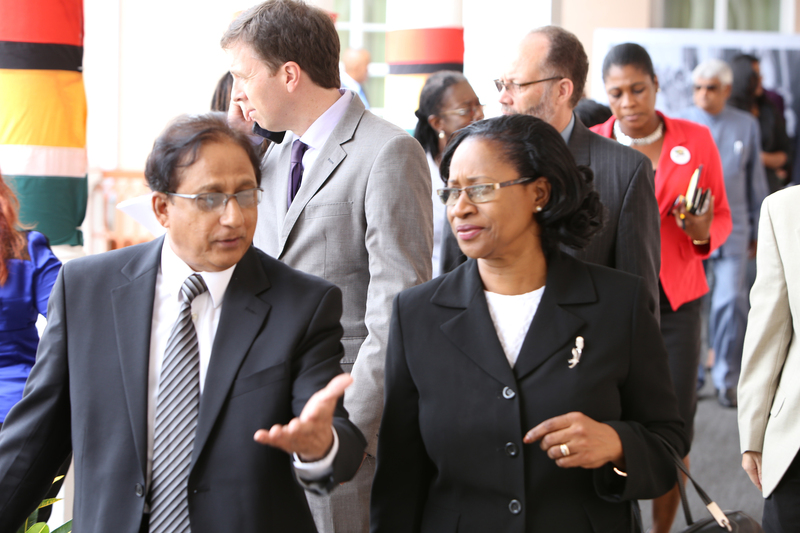 Acting Chief Justice Yonnette Cummings and Justice of Appeal B S Roy leaving Parliament after the President’s presentation yesterday.